Like the NHS, a reliable car and the health of your parents, county cricket will probably never be fully appreciated until it's gone. It is too easy to point out the empty seats in the stands, the overdrafts at the bank and the fact that one or two teams always appear to be on the brink of ruin. And it's too easy to conclude, without understanding the reasons why, that it doesn't matter and that few people care about it. But, as Lancashire and Middlesex battled until the last session of the season to contest relegation, as Hampshire stole promotion and as Durham and Kent shrugged off financial troubles to push for a one-day trophy, we were reminded, once again, of the many virtues of county cricket. We were reminded of its depth; it was, after all, at a Division Two club where England's premier spinner learned his trade. We were reminded of its competitiveness; it was, after all, in county cricket that Alastair Cook developed the patience that has served England so well. We were reminded of its ability to develop and repair players. James Taylor, Stuart Broad, Harry Gurney and Luke Wright - all in England squads this year - developed their game at much-derided Leicestershire, a club currently adrift at the bottom of the Championship. And it was at Yorkshire, a fine example of a club that develops its own but recruits wisely, where Liam Plunkett rediscovered his love of the game and rekindled the skills that could help England regain the Ashes. We were reminded of its ability to entertain, innovate and surprise; the List A and T20 games were born in county cricket and where Jos Buttler and Eoin Morgan learned the skills that may yet spark England's limited-overs resurgence. And in county cricket where Chris Rogers produced the miracle of Lord's and Jack Shantry the miracle of New Road. It was in county cricket that Joe Root learned his trade. It was county cricket that allowed Gary Ballance, Moeen Ali and Sam Robson to learn the skills that, this summer, saw them record centuries in just their second Tests. 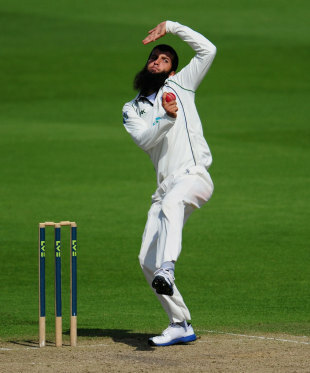 And it was county cricket - and specifically the 18-team system - that saw Moeen given the opportunity to bowl when, with a more condensed format, he might have been denied the experience. A few years ago the county season didn't so much end as fade away. Without the incentive of promotion and relegation, many sides coasted into autumn with a series of low-intensity encounters. While that scenario did allow more opportunity to blood young players without the fear of dramatic consequences, it also allowed a laissez-faire spirit to percolate throughout the English game. It was, in short, a bit soft. Whatever the current faults, that is no longer a relevant criticism. Yet some maintain that the county game survives on "hand outs" from the ECB. They maintain that the quality of the county game is diluted by too many teams. It is a myth. Talent is not a finite resource. Without the existence of first-class teams in county towns around the country, cricket would be in danger of withering away in those communities. In an age when cricket on free-to-air TV is almost non-existent, it is essential that counties keep the sport alive in their regions. It is essential they attract and inspire spectators and go into the community to develop talent. And while it is true that most counties could not survive without their share of the broadcasting deal, nor could the England team challenge without the players provided by the counties. The relationship is symbiotic. Team England is equally reliant upon the county sides. There are issues, of course. Imagine a shop that was not allowed to sell its most popular products, that was not able to open during the hours its customers found most convenient, which found its supply lines contracting and its marketing efforts diluted. And then imagine being criticised for the shop's inability to turn a profit.You have, give or take, just imagined the existence of a county cricket club. First the ECB came for the England players. The counties learned to do without them. Even this year, when the NatWest T20 Blast was re-launched amid promises of greater availability of the "draw" players. Then they learned to do without big-name overseas players. Then Kolpak players. Then the ECB, with the best of intentions, attempted to incentivise the clubs to promote young players and in the process banished a generation of experienced cricketers just as they were reaching their peak. Meanwhile, counties learned that their cash cow - limited-overs cricket on a Sunday - would be sacrificed. It was to be replaced, to some extent, with T20 games. But they would be held on Fridays and to cease once the school holidays started. Oh, and much of the season - including the T20s that were designed to attract a new audience - would take place in April and May when the weather is still uncertain, when schooling and exams dominate the lives of many families and when the best international players are unavailable. And it would be partially played - despite the unsuitable climate - under floodlights, so people sitting on the other side of the world can watch it. The point is, the counties would fulfil their role far more effectively if they were spared the interference. Consider, for example, the absence of quality, England-qualified spin bowlers from the county game. It leads back almost entirely to changes implemented by the ECB. By squeezing half the Championship season into the first few weeks of the season - when pitches are green and seamers thrive - and by allowing a new ball at 80 overs, the role of spinners has been marginalised. Furthermore, the disappearance of older players has particularly hit in a skill where it often takes players a little longer to mature - many cash-strapped counties have no choice but to maximise the incentives offered by the ECB and axe as many players aged 28 or over as possible. It might help if the county schedule was amended to allow Championship cricket to be played right through the season. So, instead of taking a break in August, it could continue to be played from Monday to Thursday - an idea that is not popular with everyone, for sure - with T20 played on Friday nights and List A on Sundays. But while the ECB have recently received several requests from counties on these lines - specifically, they asked for the start of the T20 season to be pushed back at least two weeks - it appears the current schedule will be given another season or two to take shape. Most would agree that the 2014 fixture list was substantially better than 2013, but a little tinkering could improve it further. The amount of cricket remains a factor, too. While teams have to learn to cope with the workload - it is a squad game, after all, and cricketers would do well to look at their counterparts in baseball to see how much more other sportsmen have to compete - it is more difficult for groundsmen and their surfaces. All too often games are played on tired surfaces with groundsmen fearful of experimenting due to marking system that suffocates and stifles them. Safety-first surfaces that benefit few - not fast bowlers, spinners or spectators - are all too often the result. For that reason, it is likely that more games will be played on outgrounds in the years ahead. There will also be renewed discussion about the possibility of playing a few games each season overseas. The UAE and the Caribbean have both made it clear they would like to host such occasions, though it may be relevant there is currently investment being made into facilities in Spain. This is not nearly such a far-fetched scenario as some might have you believe. There is clearly an imbalance between the number of British developed players graduating to the England team and the number of players who owe part of their development to their schooling overseas. While that is not, in itself, a bad thing - it reflects the UK's multicultural, mobile society and its history - it does also raise questions about the relative lack of players developing through the England system. The reasons are various and disputed. But few would deny that a lack of cricket in state schools and a lack of cricket on free-to-air television - or the internet - were significant factors. And until those factors are resolved, English cricket will always be pushing against the tide. Yet the roots of almost everything good in English cricket can still be found in the county game. And if all involved believed in it just a little more, it could produce an even greater harvest.